"These girls can be tough. I'm not going to lie, they can be very tough." 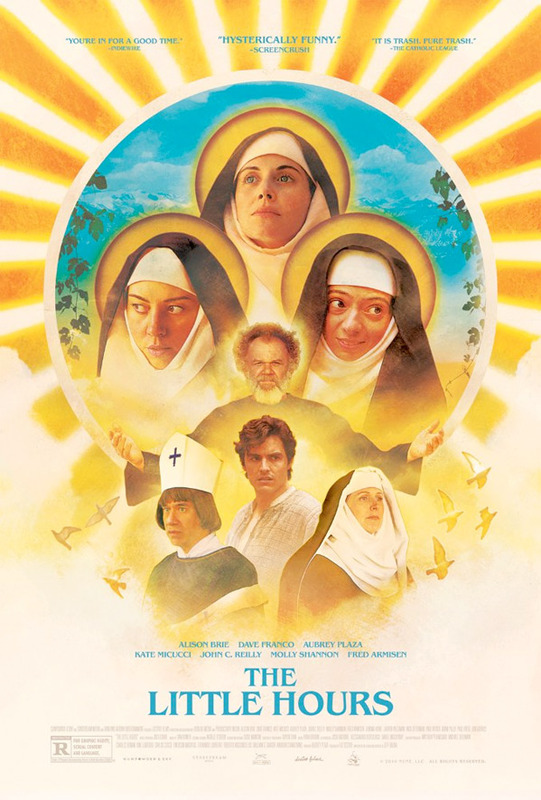 Gunpowder & Sky has debuted a second official trailer for the wacky indie comedy titled The Little Hours, which first premiered at the Sundance Film Festival earlier this year to mixed reviews. Alison Brie, Aubrey Plaza and Kate Micucci star as three dirty, horny nuns in this comedy. Everything seems to be going fine at their convent until Father Tommasso brings on new hired hand, a virile young servant forced into hiding by his angry lord. John C. Reilly and Dave Franco also star, with Nick Offerman, Fred Armisen, Molly Shannon, Jemima Kirke, Paul Reiser, Adam Pally. This looks totally trashy and ridiculous, but also like it will be so much fun to watch. Especially with a big audience at night at your local art house cinema. Watch below. You can also still watch the first red band trailer for The Little Hours here, to see even more footage.